‘Green Real Deal’: Matt Gaetz Is Preparing The GOP Answer To Ocasio-Cortez’s Green New Deal | Watts Up With That? They should start with getting rid of the EPA Endangerment finding on CO2. Then, the stupid ideas, like carbon sequestration, will disappear for having no reasoning behind them. Adding CO2 to the air actually benefits our planet. Only an ignorant person would call it “pollution”. all the way to today. Our planet is also greening from more CO2. to micromanage the world ! in many large Asian cities. I don’t hear much talk about that. and guarantee Trump gets four more years. Charles you are certainly correct about carbon capture. The expense of treating and dehydrating emissions streams, extracting CO2, recompressing it to quasi-liquid state, and pumping it deep underground for “eternal” storage is huge. The only way it become economical is …wait for it… when it is used for enhanced oil recovery in nearly-depleted oil reservoirs. The initiation of CO2 injection very quickly boosted oil production in the WEST RANCH (41-A & 98-A CONS.) unit from about 100 BOPD to nearly 4,000 BOPD. But, why? More atmospheric CO₂2 is a good thing, not a bad thing. Warmer winters are a good thing, not a bad thing, since more people die of cold than of heat, and it appears the hot extremes aren’t getting any hotter, and are probably declining. Warmer nights are a good thing, not a bad thing, because many plants do not even start to grow until the nights consistently stay above certain temperatures. Why on earth would we want to remove any more CO₂ from our atmosphere than we absolutely have to? In fact, for things that need CO₂, aren’t there cheaper ways to produce it than trying to condense/compress it out of the atmosphere? Get some limestone and pour vinegar over it, for example, doesn’t that release CO₂? A lot cheaper? So again I ask you, why? Recently published study exposes EPA fraudulent research for the sham it is. Duke University is paying the US Federal Government $112.5 million for fraudulent research results used in over two dozen medical papers. AKA ME TOO REPUBLICANS for those of us who go back to the 50’s. But I’ve had about enough of the Green Ordeal. … which is not as good ! I’ve been calling it the Red New Deal. I think we all understand the implication. And for the Scientologists, it could be the Xenu Deal. Soul-stealing galactic overlords never give you a fair deal, obviously. All New Deals have been “red,” so far. Green Ordeal would/does describe Ocasio crap. If implemented, “Green Ordeal” will also, in the future, describe the Matt Geartz version. Same as the Clean Water Act & the Clean Air Act & the Endangered Species Act; it will morph into something to big to control. Tools to simply restrict, rather than simply regulate. Anything like this needs to have a sunset clause so it can be re-worked to get rid of the unseen consequences (for example, interpretation that ALL drainage ways (year-round, seasonal, ephemeral, ditches, etc.) fall under jurisdiction of the Feds. Green New Death is the definitve description – the birthstrikers got on the bandwagon. One tiny word makes all the difference. … clean energy technologies can be deployed, and compete. If renewable energy really is the answer to all the world’s problems then it should be able to out compete fossil fuels, etc. It shouldn’t need subsidies because it’s already supposed to be cheaper. Competition says the market will decide. But they’re not planning to subsidize anymore, cb. They want to make unreliables (the proper term for what they call “renewables”) cheaper by taxing the piss out of anything that has carbon in it. That way $0.50/KW-h will be “cheaper” and therefore it will “compete”. Not because it will actually solve anything, but because it will be another tax on something that has inelastic demand, like alcohol and tobacco, or highway tolls on the roads people must transit to get to work. Just a new source of revenue, and be assured, they may take in a trillion dollars a year, but they will still end up running bigger and bigger budget deficits handing more and more money over to their clients who don’t do anything productive for society, but vote for Democrats. Demoplicans and Republicrats use different language to advocate the same hobgoblins all the while our 22 Trillion real debt and 70 trillion in unfunded Social Welfare (Social Security, Medicare, and Medicaid) born out of the 1st new deal is going to kill more people, when the collapse comes (and it is coming much faster than Global WArming), than all the hot weather, hurricanes, tornadoes, droughts, floods, rising sea level deaths since the start of recorded time. These chicken littles are going to get blind sided by world wide economic collapse and it is going to take generations to recover from the devastation. I have come to realize that CAGW is just a distraction from our real problems in an effort to prevent the masses from storming the Capitol to tar and feather these fat cat puppet politicians in suits/pant suits. Correct, hunter. There is no reason to respond. This makes -Cortez a leader. and prove we are right ! It’s smarmy but this works. Another example of why the GOP is the Stupid Party. Take a foolish Democrat idea, water it down, and advance the Democrat cause another notch. I liken Washington politics to an airplane being piloted from the tips of both wings, by pilots with opposite destinations. A “Real green deal” would be to invest in providing affordable energy to the third world and relieving those nations of tyrant rulership. Abort. The right needs to stay away from the term “green” and reframe/redefine it to mean wet behind the ears, inexperienced, immature, etc. Then propose a Great New Deal (GND) based on reality. Co-opt GND, redefine it, offer a better GND. Just to be clear – I intended ‘green’ to translate to ‘greed’ – not Icisil’s suggestion. Make America Great Again New Deal. If it’s really market-driven it doesn’t need a “push” from the Federal Government. Exactly – basically furthering all Progressive agenda-items – just trying to do it more frugally. Swamp Republicans have this magical distorted view of how markets work. We will tell you what we need, you, markets, figure out how to get it for us. Then we’ll take half the profits because, come on, it was our idea. If we spout the magic word “market” enough the bubbas will buy our B.S. Gaetz is no RINO. But he seems to be listening to some. He’s my Rep and I’ve just emailed him over this nonsense. I wouldn’t characterize Matt Gaetz as a RINO. He is correct on every conservative issue I have heard him expound upon. This statement assumes CAGW is real, when there is no evidence of such. Possibly Gaetz is not an alarmist but has just worded his draft this way to bring in a wider group of supporters from the real RINO’s and the Democrats. But still, it is wrong to assume CAGW is real. We shouldn’t give credence to the assertion, and the draft does just that. He’s too silly and gullible to be passing law then. A majority of the Senators that are behind this scheme voted against the President’s authority to declare a national emergency to build a border wall. Where TF do they get the authority to ruin the only sector of the economy that has actually created lots and lots and lots of well paying jobs for working class Americans in the last 10 years? Gosh, how smart do you have to be to be a U.S. Senator these days? It’s the Guardian, and you expect anybody to take the article seriously. Probably fact-checked by Integrity Initiative and Rapid Response Unit’s Fiona Bartosch with 800 million Stg to rapidly put the media right. Best CO2 money can buy. Hey – the parrot will, when the bottom of its cage is covered in Grauniad droppings like that. 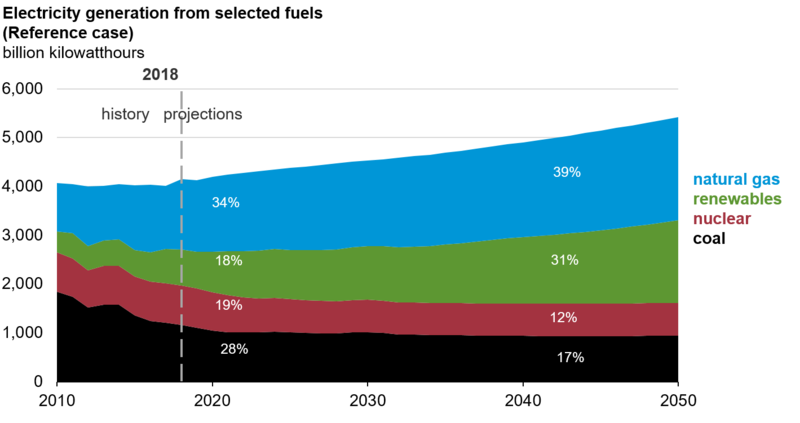 “For demand, too many confuse the crucial difference between “growing less slowly” or remaining “buoyantly very high” versus “shrinking” or “declining.” Similar to U.S. oil demand, China’s coal consumption aligns with the first two. While it could indeed be said that Chinese coal demand has been relatively flat for a few years now, importantly, it hasn’t been falling in the absolute sense. but can those numbers be believed? Which is easier for the Chinese government? To tell naive westerners that their coal consumption is flat or dropping when it is really accelerating through the roof, or to actually reduce coal consumption and install unreliable energy? It’s also totally illegal to sell pirated videos or counterfeit brands. Believe that one too? Shut down all coal and gas power plants and replace them with solar and wind power plants immediately! Just one little difference: coal works, wind and solar doesn’t. And coal in the US may be on the way out but exports are rising…. And it’s on it’s way out very, very slowly. Polly want a cracker, Grift? David, you continuously mistake the EIA’s fantasies of the future for reality. It does not reflect well on your analytical capabilities. 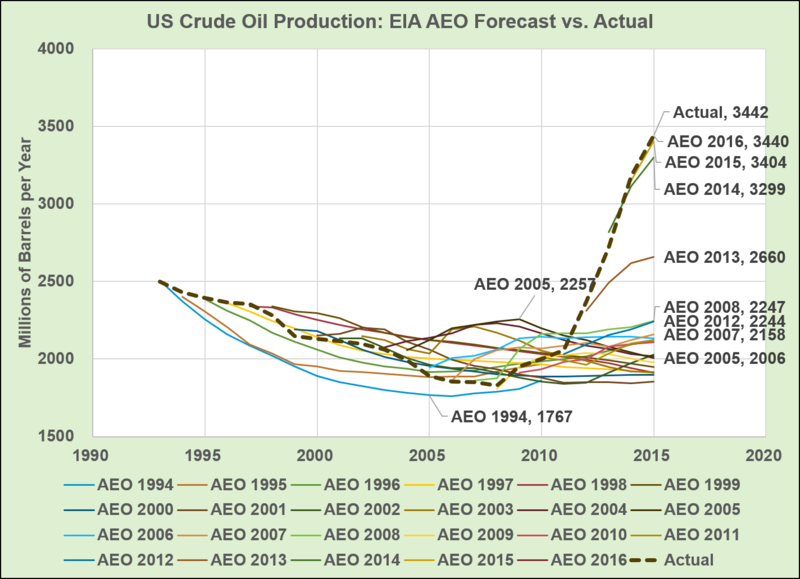 EIA’s fantasies vs your fantasies… not a tough call. There aren’t enough nuke plants in the pipeline to allow coal to go away quickly and natural gas build out will barely keep up with demand growth and the slow loss of coal and nuke plants. So, they’re far from perfect. It’s the EIA’s fantasies vs my reality. But you’re right, it’s not a tough call. David, you believe the EIA’s fantasies are real because you’re ignorant. You clearly know virtually nothing about the electric power generation industry (or transportation, for that matter). Why? Because you’ve obviously felt you had better things to do than learn. But that doesn’t mean it’s a good idea to demean those who actually know something about the subject(s). If you’re actually interested in not being ignorant, let’s start local. Here is a wonderful Wikipedia page that contains a list of 15 coal-fired power plants operating in Texas. (As well as a list of four that shut down just in 2018!) The Wikipedia table also contains the plant capacities. Look at that list, do some research, and tell me which of the 15 coal-fired plants you think will still be operating (and burning coal…not natural gas!) in 2050, and estimate the total gigawatt-hours you think they will produce from burning coal in 2050. The future is not reality. Anyone who thinks that their predictions of the future are reality is a fracking moron. Particularly W.A. Parrish, which is providing CO2 for the West Ranch oilfield EOR project. Planned coal-fired power plant retirements from EIA. He then lists 15 plants. You wanna bet, you ignorant twit? I thought the “Next time do a little research” was directed at me, which is why I took such offense. But if you were indeed making fun of yourself (or of me), my question still stands: Out of those 15 plants, which do you think will still be burning coal to produce electricity in the year 2050? I’d rather we said goodbye to poor grammar. And yet the EU is backing away from renewables at a great rate of knots. Why is that? The article is full crap since Coal industry has a far smaller workforce than Wind and Solar power, meaning it is more efficient in dollars per Kilowatt, which translates to a better economic value. The main cause of their reduction was from NG, which is cheaper to run and for consumers to buy, but they both share the same capability of delivering STEADY baseload power 24/7 that Wind and Solar never can. Coal power will be around for decades to come, that is a reality you have to accept. The only smart way to cut back on coal is to burn municipal wastes to produce electricity. Pop, we had a “Cash-burning Powerplant”** in our fair city… for a while. It would explode from time to time because something that shouldn’t have been burned got through the sorting process. It was down more often than running, if not due to an explosion then due to a shortage of suitable trash to burn; you can’t schedule burnable waste like you can shipments of coal. It cost more to operate due to the sorting process and the unsuitable material had to go to a landfill, anyhow. After millions to build it and millions in annual operating losses, our politicians made that rare commonsense decision to cut the losses instead of doubling down on a boondoggle, and spent a little over a million dollars to raze it to the ground. It will be at least another generation before the memory of the Cash-burning Powerplant is gone and some bright young guilt-ridden politician tries it again. **Actually called that by most citizens and the local papers, radio, and TV. I can’t recall the politician who pulled the plug on that fiasco, but he did get bonus points from the public for doing it. Only to be replaced by gas which you have to get rid of but can’t and if you switch energy demand from coal to gas sooner or later you’ll reach the coal gasification price as you drive up the demand and price of gas. So won’t be in the long run by shuffling the deck chairs. So won’t be in the long run by shuffling the deck chairs. That may be true, but the net of converting to gas now and reconverting to coal later could still lead to high profits/lower costs over the long haul. That’s what engineering economics is all about. How much to say bye bye peaks and fill in those troughs and grab the midday duck curve with solar to offset zilch at night or all those overcast days? Way beyond their little pin heads and their solar and wind is cheaper than coal meme with one of the purest forms of State sponsored dumping imaginable. Those studies have been well and thoroughly refuted. However the trolls will continue to tout them. The studies ignore the fact that wind and solar are heavily subsidized. The studies completely ignore the cost of back up power that is needed when the wind isn’t blowing and the sun isn’t shining. The studies completely ignore the mandates that force power companies to use wind and solar first, which makes all other power sources more expensive. In other words, the studies sought to prove a point, and ignored everything that didn’t support the point they were paid to prove. Yep – Progressives adhere tightly to Goebbels’ principals. Repetition is literally all they’ve got. Fake engineering is sad and pathetic. How much does solar and wind power really ‘cost’? i.e. Include all costs. If solar and wind were ‘cheaper’ than coal then Germany would not have among the most expensive electrical prices in the world. Currently German power costs about 30 euro-cents per kilowatt-hour, and so are among the highest worldwide. The price is projected to soar another 50% rise to 45 cents by 2020. That would make German power 4 times more expensive than US power, and more than double that of France. This poses a real threat to German economic competitiveness. Wind and solar is cheap if you ignore the fact that total energy produced is for example in Germany less than 20% of the nameplate rating. When the cult of CAGW quote green power ‘costs’ they quote power availability. A single wind turbine turning or solar panel output on a cloudy winter day is green power ‘available’. The price of a kilowatt hour (kWh) on average has reached a new all-time high of 28.18 euro cents (33 US cents) … this means power has become 3 percent more expensive compared with the previous year,” Verivox said in a statement. Some 20 percent alone go into the renewable energy surcharge under the EEG law, making it the biggest single item to fund Germany’s transition to fossil-free power. The run-away expansion of wind turbines and solar panels has made German prices the highest in Europe since 2013, not just because of surcharges but because more volatile green power capacity also necessitates new transmission grids and higher costs to manage them. It’s hardly obsolete – is it, Ivan? Cheapest most efficient energy out there. Just another label by green idiot who makes up his own reality to suit his bigotries. So he fell for the trap. Yes, the idiot. Now we’re going to have a conversation on something that should be mocked. No, he’s a plant, i.e., pretends to be a Republican while working for the Democrat agenda. This is part of their methodology – Democrats offer something totally ridiculous and extreme that will be rejected, while getting the Republicans to oppose them in the framework that the Democrats have devised. The only winning solution is to reject and ignore their calls to offer a response to their GND, or co-opt and redefine it as I mentioned above. And if anyone doubts that Gaetz is a Democrat operative, just look at what was recently revealed about the Justice Democrats’ plan to run Democrats as Republicans in low-voter-turnout red districts. Pay attention that the draft of Gaetz’s resolution was leaked to Politico – a leftist rag. Citizens for Responsible Energy Solutions is funded by leftist interests. Do you see how they do it? If the right adopts the policies of the left, it defeats itself. If the right won’t adopt the policies of the left, the left just infiltrates the right and does it for them. 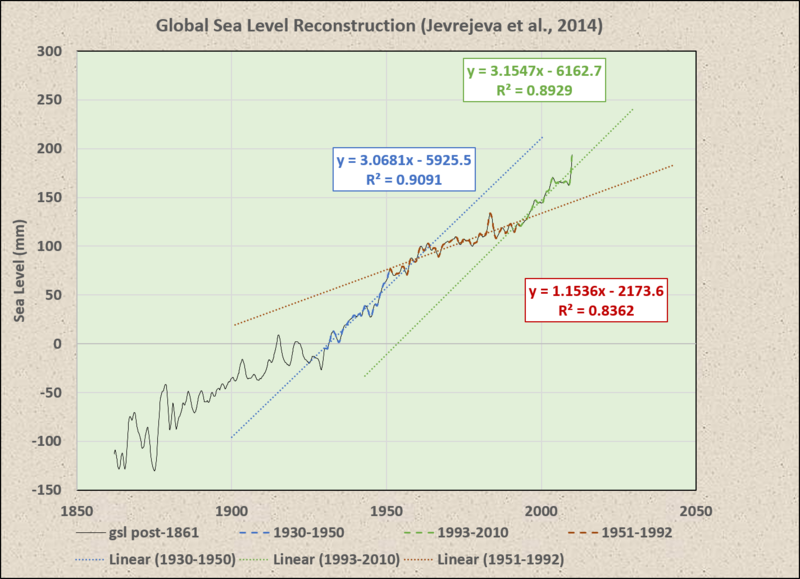 Can anyone cite a scientific source that shows rising sea levels? Serious question, not sarc. All of them show the globally averaged sea level to be rising at about 3 mm/yr. 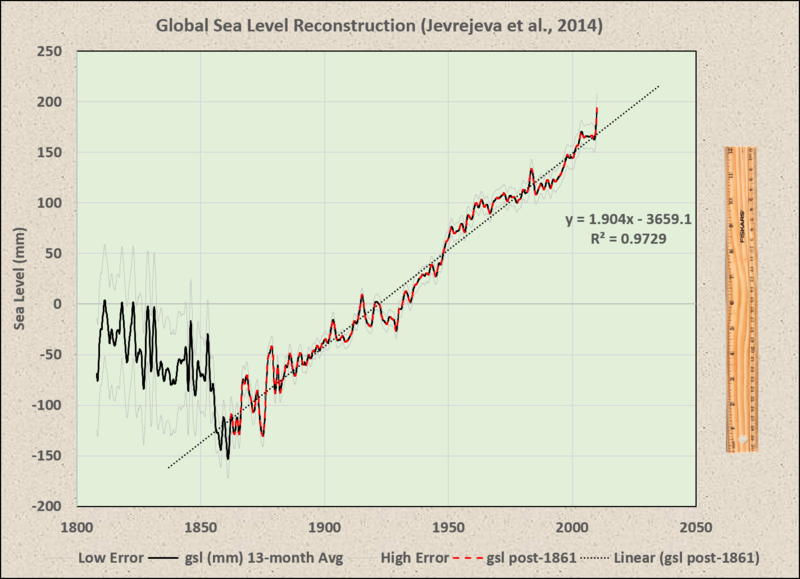 The debatable point is whether or not this is anomalous relative to what sea level was doing before Gorebal Warming. Well, it is fairly well established from tide gauges that it has been rising by about 1.5 mm/yr (= 6 inches/century) since about 1850, though with very large local variations and no sign of any acceleration. I should have specified that the ~3 mm/yr is the current rate. It has oscillated from ~1-3 mm/yr since the end of Neoglaciation. The rate since 1993 is no different than that of 1930-1950. And to what would you ascribe the geological tide gauge at Hallett Cove in South Australia that can show an average annual sea level rise of 16.25mm/yr over EIGHT THOUSAND years beginning around 15000 years ago David? CO2 from Aboriginal cooking fires and traditional burnoffs to flush out game? Do enlighten us all as to how those clever folk in lab coats with their computer models can extract the anthropogenic CO2 signal out of 1.6 or even 3 mm of annual sea level rise nowadays? Can you even tell us the percentage contribution of anthropogenic CO2 in the current rise? Still I wouldn’t put it past them given what they’re smoking. “DUH”, its common knowledge that “historical temperature records” are only accurate within +- 2 to 3 degrees of actual ……. and common sense thinking and logical reasoning should convince oneself that historical Tide Gauge records are only accurate within +- 2 to 3 centimeters of actual. “DUH”, seafarers were worried about their boats “running aground”, ….. NOT worried about glaciers meltwater causing their ports and harbors to be submerged underwater. Sea-level measurements were made using simple measuring poles or “tide staffs” until around 1830, when self-recording gauges with mechanical floats and stilling wells were introduced. Tide gauges have a practical application in the shipping and fishing industries where low or high tide levels can hinder or prohibit access to shallow bays or locations with bridges. And we’ll send them to free college where no test scores are used to gain entrance and no grades will be recorded. We’ll make Bill de Blasio the chancellor and all will be right with the world. That’s a novel way to shrink those pesky convoluted categories. A whole new meaning to the KISS principle. Oh, the US needs to review energy policy, and most of it is undoing the misguided policies of Jimmy Carter and Barack Obama. Undoing the environmental review policies put into place by Carter would be a good start, as would removing the “endangerment finding” of Obama. Idiots. Instead of letting the GND stand alone in embarrassment, the RINOs give the gift of something for the left to focus attention on. Good work, idiots. It’s as though you actually enjoy losing to incompetent communists. There’s a breed of Republican who believe that the key to winning elections is to be just a little bit to the right of the Democrats. They believe that this makes them the natural choice of anyone politically to the right of where ever they happen to position themselves today. They believe that following the Democrats leftward swing they are capturing a bigger swath of the voting public. Unfortunately, you are right. Power over principle. This is nonsense. I’ve lived through a 60+ years long climate variation cycle and have seen nothing unusual in the ordinary weather patterns one would expect at the top of a warm period. We will get warmer here and there. We will get colder here and there. And eventually, in 10s of thousands of years in the future, we will plunge into flora and fauna killing cold. No amount of expensive fancy energy projects will change that reality one bit. Not one bit. A slightly less vacuously green response to that idiot woman’s vacuous machinations about her green plans makes the entire thing all the more ludicrous. Does this mean the world is not going to end in 12 years? But now I can enjoy the rest of my life. There’s a lot to like in this resolution, such as its push for less regulation and for a reliance on free-market mechanisms. A declaration calling for the establishment of a panel like the presidential commission Trump is considering would make it better. Losing: OK. Here’s our Green New Deal. Or the “Green Real Deal” as poser Gaetz calls it. It all went completely wrong with this absolute nonsense. “A draft of Gaetz’s resolution, obtained by Politico, recognizes risks to the U.S. from climate change, citing Department of Defense reports that identify certain military assets and bases as at risk to rising sea levels and increasing severe weather events, such as hurricanes. It should have said “just as in the past WEATHER creates the same risks as it always has”. How to instantly increase energy costs by 30%, the stupid burns. It’s double or nothing. AOC is Thing 1 and Gaetz is Thing 2, each is destructive. CO2 capture has worked in two small scale electric generation plants in the US where due to specific conditions and needs, it seemed plausible yet at an incredible cost. It is not feasible in most locations. I remember when our electric generation industry was first compelled to install emissions scrubber technology, mainly seeking to remove sulfur dioxide from emissions. Nationwide that regulation cost hundreds of billions, if not trillions of $. The company I worked for shuttered several older coal plants because the costs could not be justified given the low energy output and the fact that these plants were in the latter part of their lifespan. I remember it well yet today we have huge aircraft filling up with tanks of sulfur dioxide and releasing that chemical while flying high in the atmosphere. It’s almost as if there never was a concern about sulfur dioxide, rather that it was an all out assault on low cost, reliable energy production. How is this new assault on CO2 not just another assault on low cost energy production? I am growing more and more weary of any science which appears to seek to drive any public policy. I simply cannot trust those involved to not be more driven by their political ideology than by actual science, especially when they attempt to further it with claims of, “the science is settled” and “scientific consensus” nonsense, as they shut down any attempt to falsify their supposed science. It is a sad day in scientific history when we cannot trust the principal leaders of a particular scientific community because they have ruined historical data sets, and their own emails appear to demonstrate collusion and willful intent to defraud as they seek to drive public policy. It’s the public money that pushes that whole dynamic. Eliminate the public money going into the climate-science scam and the dysfunction will go away and the actual science will resume. Until that occurs the political corruption of science will not stop. i.e. the people in all our national capitals who want to continue or expand the public money flowing into climate science are the same people who are pushing political corruption of science, so that they can politically exploit that corruption. You don’t respond to tyranny with tyranny lite. Call the GND what it is. It is communism. It would cost us our liberty. There is no response other than to name it what it is, and reject it out of hand. Gaetz is a fool, this how the democrats and the socialists have operated for decades propose a mile, and the (R)s give them a few yards. After a couple of decades they have the mile anyway. Notice my critical does not mention the environment. That is because the GND isn’t about the environment, it is about socializing the energy, transportation and manufacturing sectors of the economy. Well stated, John. Politics is said to require compromise, but this fact does not say anything about leading. Trump is the only one on the right actually leading the way and requiring the left to compromise with him. For decades, the right has just been reacting to the left, even when the right had the majority in Congress. I think there are two main reasons for this. 1. The members of the right are generally more ‘civilized’ than the members of the left. They were raised to play by the rules, and they naturally believe that is what everyone wants to do. An analogy might be the British army against the American revolutionaries. The British conducted warfare in a ‘civilized’ way, with lines of soldiers efficiently releasing volleys at the enemy, as they stood completely exposed. Eventually, Washington learned to break the rules, with some very modest ‘guerilla warfare’ tactics, and emerged victorious. The British lost, partly because the expected the Americans to play by the rules. Modern Republicans are making the same mistake. Secondly, the left owns the media, and Republicans believe the mainstream media influences the public. While there was some reason for this fear, the reason is diminishing, as more and more people are rejecting the mainstream media. Trumps election revealed that the media was losing much of its influence. The recent stream of outrageous screw-ups by the media has further alienated a large part of the public. Republicans should not be afraid of the press any longer. The people see through the media. It’s time that the politicians do the same. Gaetz may think he will get some favorable press with his new proposal; appearing to be civilized in the debate, but he will not. The left is not playing by those rules, and the right is tired of the rope-a-dope behaviour of their representatives. The responses here on WUWT aptly prove the latter. I still say climate change is a big nothing-burger but at least this proposal isn’t COMPLETELY insane. And is totally unnecessary, plus stops everyone dealing with real issues and policy, instead everything is derailed into more of this climate-scam nonsense. One giant Trojan Horse. That mechanism is how they get insane nonsense passed that destroys our Republic. The Democrats want more power and control, and are using a fictitious climate crisis to get it. Weak Republicans respond by trying to diminish the Democrat power grab. None of this has anything to do with actual climate or actual climate change! The only difference between Democrats and RINOs are the timetables they have for taking control of the country away from the people. That’s why they have both been apoplectic over Trump’s election, and the significant delaying of those schedules. Time has come for some to finally expat in the new green worker’s paradise ? Guess we’ll find enough crews willing do to do the driving and ferrying of empty rides back for free. Tim Pearce misspelled “daft”. Matt Gaetz is a moron. I don’t see any deal that involves heavy implementation of misnomered “renewables” as viable. Nuclear and hydro are the only versions with sufficient energy density to be anything but consumer-side supplements or temporary stop-gap solutions in geographically practical locales. I think that Republicans should simply stick to realist dialog and let AOC and the progressives wreck the Democrat party from within, or be driven out by centrists who can’t find solace siding with Republicans. Why does this guy feel Republicans need to respond at all? This is the other half of the problem. If it doesn’t highlight molten salt small modular reactor technology, it’s the product of future energy ignorance. The way Alexander Occasio Cortex has been championed and generally elevated by the media, I imagined she must be quite a competent political performer and an impressive orator. I saw a clip of her performing just yesterday, and was shocked to see she is just thick! Why is everyone talking about such a lame brain as her? Let her continue uninterrupted destroying herself and the Democrats, if they choose to support her insanity. Let the COGS grind themselves to dust. The original became an icon through image, fantasy, and ignorance. The same lifestyle (image, fantasy, ignorance) describes the supporters of She Guevera. This article is not OK. The end goal of the Progressives is not to solve climate issues. Because humans will likely never be able to change or stop the vast planet wide climate changes occurring over the Millenia. No it is instead to enact a statist / authoritarian control of large portions of the economy. So apologizing and legitimizing Green Cloaked Socialism is a non-starter and only emboldens the Progressives to continue their march for power. Well I have developed technology using fossil fuels where we can reduce the CO2 emissions back to what they were in 1942-1943. That represents an 86.9% reduction, If global warming is caused by CO2 that is enough of a reduction to cause global cooling. If we want to play god, we need to prepare for overshoot. Solar and wind power are permanent reductions. With fossil fuels we can adjust the amount of CO2 that is released. Richard is continually thread-bombing with this nonsense that has nothing to do with the post; even more so than the rest of us occasionally do. He contributes nothing and is just fishing for suckers. He should be in permanent moderation until he reforms or gives up. The problem is, what if global warming is NOT caused by CO2? And it looks like it’s not, according to something called “observations”. You seem unsure yourself. Given the uncertainty, is it right to force the poor and working class people to pay for this expensive technology? People are not so green. This is another gray deal. We are not children anymore, politicians and activists should stop polluting the semantic habitat. Stopped reading at (contrived/forced) military assessment. It’s a very, very silly resolution. Like a lot of things the Republicans say; this is less dumb than the Democrats. (E) to empower individuals, states, and the marketplace to act, invest, and implement the cleanest, lowest-emitting technologies available. There is nothing substantive in the Gaetz GRD proposal. It is simply unicorns and fairy dust magic like AOC’s GND. And most importantly, it is not the duty of the Federal government to create a GRD… last time I checked the US Constitution. Sad that morons like Gaetz actually represents hundreds of thousand of more intelligent constituents in his district. No wonder Congress is such a mess. We keep electing morons, Left and Right. How about a MAGA Deal as a response? That would be up Trump’s alley. More coal, more oil, more gas, maybe more nuclear, and just say no to expensive unreliables. If Gaetz’s reply is longer than “Horse S**t”, then he’s wasted ink and pixels. CO2 obsession . . . a disorder manifest in politicians and academics. Agreed. History shows, without fail, the cleanest countries on earth are the ones with the greatest per capita wealth. The reason is simple, when you are poor, everything goes to feeding your family. When you are rich you have a surplus to you make sure your family has a good environment. So, if you want to cut emission, make people wealthier. You cannot do this by taxation, because governments are inherently inefficient. You make people wealthy by increasing the efficiency of the economy, which is done by encouraging free markets and the rule of law. The market makes people wealthy, so long as the legal system minimizes corruption. The delays and overheads in many legal systems encourages corruption, which corrupts the market, which brings poverty. Look at the poorest countries in the world. Corruption is rampant. No one wants to invest, because there is the risk your investment will be stolen. What money there is is quickly siphoned off by the powerful and safeguarded in offshore accounts. CO2 cannot be politicized by conceding it’s a pollution. It needs to be declared a global good and leave it the hell alone. The countervailing platform to Green Nucklehead Deal could be something about cleaning up; real pollutions, waterways, oceans. How about the world’s largest rivers in India and Brazil, etc. The trash in those rivers are to cry about. This has probably been said already, but this proposed resolution makes two fundamental errors. He seems to assume: 1) all of this will make any difference on atmospheric CO₂ levels, 2) there is actually a need to reduce atmospheric CO₂ levels. Other than that, it’s perfectly fine. Well, except the counter-productive CC&S idea, there is never a good enough reason to do that! Not a reply to your comment, but a year or so ago I was told that it’s easier on the Mods to just say “CO2” rather than CO whatever code you used to add the subscript “2”. I don’t know why on the moderators end, but that’s what they said. AOC should be called to debate to justify her GND (Green Nincompoop Delusion.) No assumptions that the science is settled, no name-calling. Just the facts. First she has to show the actual evidence- all the conditions that justify the GND need to be put on the table. AOC must herself show that all the conditions that justify the GND are absolutely valid. As she is brain-dead and totally out of her depth, Alinsky’s rules on going out of your depth (in her case, a toddler’s swimming pool) will make her look like the idiot she is. Televise the debate for all to see what an idiot she is. Put Democrats on the spot if they support the GND-make them look like idiots along with AOC. Certainly, she is a prime target for Alinsky’s 13th rule. All those that jumped on the GND bandwagon will look very stupid indeed. 1) The warming/ “climate change” (whatever it really means without qualification) must be at historically unprecedented rates. 2) It MUST be predominantly caused by human CO2. As any natural component of CO2 rise is beyond human control, the human CO2 causation would have to be well over 50% -probably closer to 90%. It must thus be proven that human CO2 is what drives global temperatures/ “climate.” If natural forces play a significant role, attempts to tame nature will be either nearly impossible or so hideously expensive as to destroy humanity itself. 3) On balance, the global warming/ “climate change” MUST be dangerous. The inconvenient reality that higher CO2 (plant food) is demonstrably greening the planet must be included in to the equation to determine if the balance is tipping toward significantly more harm. 4) It MUST be that radical changes in human behavior will eliminate the dangerous component of global warming/ “climate change” and on-balance, be good for the planet. It is pointless to put vast quantities of human effort and funding in to pie-in-the-sky schemes that do not make a significant difference. 5) The cost of the measures must be weighed up against the good that those trillions could do for humanity in terms of other projects. I estimate that it would cost around 80 trillion to 3 D print aluminium water condensers to provide reliable drinking water and water for key nutritional crops (not wide field wheat and rice which are not high in nutritional value-just calories) for the entire human race. The cost is similar-which would benefit humanity more?-hundred of trillions to take plant food and thus human food out of the system on a belief that CO2 is a dangerous poison or to provide clean water for humans and core crops? Clean, reliable water and food security are 2 of the fundamental needs of humans. The other fundamentals are housing, clothing and entertainment. ALL of these points MUST be satisfied to even contemplate the GND. If the GND falls foul of just one of the points, it is rubbish. Is anyone out there able to produce solid evidence that all the conditions are being met to justify debating a GND? If the evidence is so overwhelming, then it is very reasonable that AOC be called to justify her Green Nincompoop Delusion. Like any scientific theory, just a single significant error in the data , methodology or modelling and it is debunked, the same applies here- insufficient(or no) proof that any of the conditions is being met, and it is out the window for the scheme. 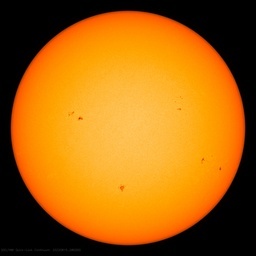 What the GOP needs to understand is that the climate change we have been experiencing is small and is caused by the sun and the oceans over which mankind has no control. Despite the hype, there is no real evidence that CO2 has any effect on climate and there is plenty of scientific rationale to support the idea that the climate sensitivity of CO2 is zero. So if the Green New Deal were implemented globally it would wave no effect on global climate but it would devastate the global economy and hundreds of millions would perish because of it. If we are anticipating disastrous future events it would be far better to take steps to improve the world’s economy rather than to take steps to ruin it. 2. Help poor countries improve their standard of living so they will be resilient enough to cope with climate events. There. We will be done with trying to manipulate the climate, which is guaranteed to be unsuccessful anyway since we don’t control China and India. The Little Ice Age was the last “climate event”. The “climate event” before it was the Medieval Warm period. Weather events are not climate events. Stop falling for their distorted new-speak and their infinitely variable definitions of “climate”, and everything else they waffle about. #1 – Send in Occasionally-Coherent to proclaim the end of all life on earth in 12 years time, and the need to immediately end all heavy industry and capitalism on a global scale, as the Leftist-Media plays it up as a revelation, instead of immediately rejecting it and her as completely insane. This of course will attract no votes. But it was not supposed to, it was simply haggling. If you want to sell a pig at market for $50, the ask for $5,000, and get the Ultra-Lefty-Celeb-Media (ULCM) to sing its praises, pump it as a revelation, scare the children, and treat the seller of said pig like a savvy misunderstood unrealistic genius who’s heart is in the right place, i.e. you’ve gotta Haggle! Thus people who never wanted any pig, are conned to buy a stupid pig for $75 anyway to make the endlessly harping occasionally-coherant nutjobs go away. But everyone has failed to notice that this is a topic that has no real-world reason to even be floated, let alone discussed as national prime-time ultra-left-celeb-media current affairs, let alone to be adopted as any sort of good government policy path, in any way, shape or form. They just hitched up the Trojan Horse full of enemy and pending urban destruction and towed it inside the city wall! There’s zero physical reason for any “Green New Deal” to exist. The whole thing is a scam, there is no material substance behind the claims of its proponents. It is imaginary, a fantasy created for fools, a mere audacious scam, to sell one very over-rated and thoroughly over-priced diseased old pig to fools who never wanted any such pig. And who have no use for it. But who are being conned into buying a less expensive unnecessary unwanted pig, anyway. An outright rejection of the whole concept of a “Green New Deal” is the only proper response to such a vile and overt political scam, hidden in plain sight. A scam of a whole country and of a global civilization, whole will be expected to follow lemming-like over the cliff to avoid a totally imaginary and non-existent pending planetary apockyclips. Tar and feather them! Boot them out of the swamp if they dare propose to haggle-out a ‘reasonable’ and ‘informed’ alternative, within such ultra-lefty-celeb-media as they’re all just another part of the scam operation’s dynamic. Anyone who proposes it or pretends it’s something to be talking about gets no further votes. Reminds me of gas stations raising the price to $1.50 a liter. When the price drops back to $1.30 you are happy to buy. But the month before, you were outraged at having to pay $1.299 .